Meditation and mindfulness are great practices for kids. They can help children adapt to stress, anxiety, and other frustrating situations. But many kids need help focusing and calming their mind. Guided meditations are great to help your kids with their mindfulness practice, however, you can’t quite sit them down with a meditation written for adults and expect success. Fortunately, there are plenty of guide meditation videos for kids available. These videos treat meditation like a story or otherwise design the guided imagery to keep your children engaged. 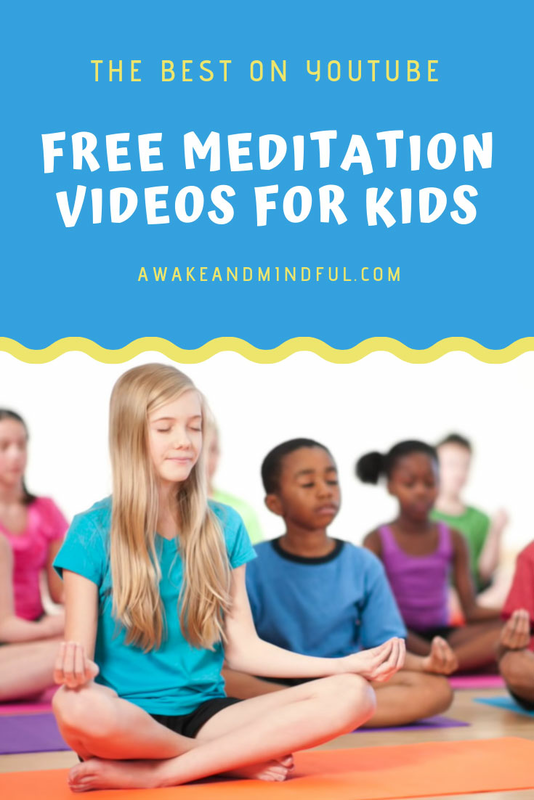 These meditation videos for kids are perfect to help your child relax before bed or nap time or just to teach them the principals of meditation and mindfulness. Check out our recommendations below. This 6 minute guide relaxation for kids from Peace Out features the gentle voice of Jamie paired with cheerful illustrations. Jaime is great at taking the principles of mindfulness and guided relaxation and making it accessible for kids. This meditation features a red balloon that takes the kids on a flying trip through a beautiful countryside. Their meditation videos for kids are perfect for a quick morning or afternoon meditation session. If your child is an older kid or you’re looking to introduce your son or daughter to more traditional guided meditations, this 5 minute video from the Meditation Channel is great. This meditation focuses on the breath, teaching your child to turn their attention inward and creating good habits for future meditation. While this video doesn’t feature fancy music, it’s very accessible for children and allows them to really focus on their breath. This guided meditation video for kids is a story that focuses on gratitude. This story is less of a traditional meditation, but instead a relaxing story that teaches children about being grateful for what they have or who they are. It does guide your child to breath in and repeat gratitude mantras. At 20 minutes long, this video can be listened to at any time of day, but it’s particularly good for bedtime. Cory’s voice is very relaxing and can help lull your child to sleep. Here’s another guided meditation great for elementary school aged kids. Breethe offers a variety of guided meditation videos for all ages and even has an iOS app. This meditation starts out with a focus on the breath and continues with the visualization of a butterfly to guide your child through a body scan meditation. At 7 minutes long, this meditation is great for any time of day. New Horizon makes a ton of meditations specifically for kids. From story meditation to relaxation exercises to help with stress and anxiety, they offer something for every child. This meditation is for the Forcefield of Protection, which is great for nervous or anxious children. In visualizing a protective forcefield of light, it helps give kids confidence to deal with tricky situations that make them nervous. If you enjoy this guided meditation or prefer to listen to MP3 you can purchase their guided meditations for kids on Amazon or iTunes. Looking for more ways to teach your children about meditation? Check out these DIY meditation jars. Help your children practice mindfulness with yoga by using these yoga DVDs for kids.